Let us all take a trip to the doctor! Why? Well, the answer is a simple one. You have a bad hip, maybe a migraine that persists for weeks, maybe even a pain in your stomach that no google search seems to solve. When pain or symptoms strike, visiting the Doctor is certainly correct thing to do – but is visiting the Doctor the BEST thing you can do? What is the best remedy to cure a bad hip? The most tenable solution is to never have a bad hip in the first place. How about the never-ending migraine? That too, as well as the stomach pain, is best resolved by never even experiencing it in the first place. But how is it that we can tend to ailments before we acknowledge their pain? How can I know that I need to correct my stomach health before I receive pain. The answer, we believe, lies in holistic therapy. We are not saying that if one has broken his hand he should drink herbal tea; the tea would certainly be delicious, but hardly ailing to the reconstruction of your broken hand. Instead, we exclaim that you should learn to PREVENT your hurt stomach or your bad hip, hence the name PREVENTATIVE medicine. Unfortunately, our medical infrastructure works symptomatically and not preventively. Our medical system is excellent at diagnosing pain, however not very efficient at recognising it before it strikes. We believe that we should diagnose a potential problem before the pain emerges. Via pulse diagnostic tests, tongue tests, skin analysis and iris recognition, we can understand which organs are working optimally, and which ones are not. This way, if your heart or stomach will potentially cause you pain in the future, we treat this before it actually becomes a problem. 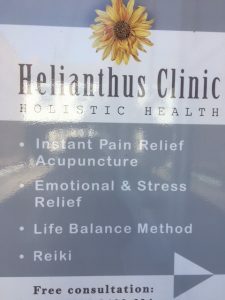 Through our use of acupuncture needles and Chinese herbs, we stimulate the body’s most efficient methods of achieving harmony.